It’s almost time for BBC’s Children in Need and our illustrator Lorna Scobie has been doing her bit. 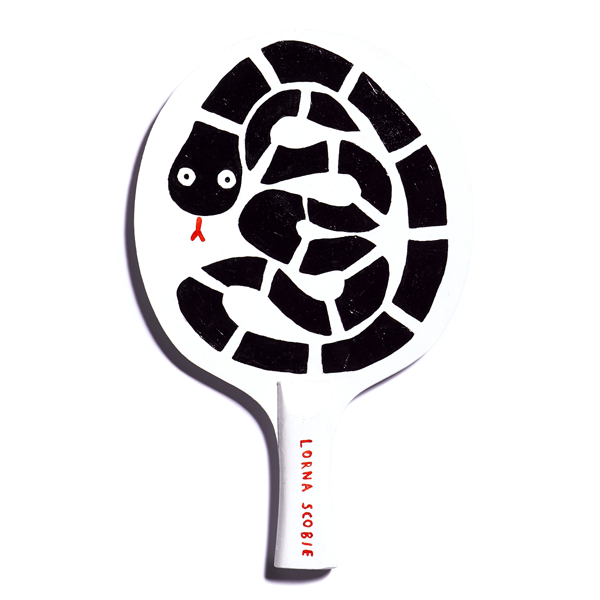 Lorna has joined eight of the UK’s top artists and illustrators in teaming up with Fivefootsix and designing a ping pong bat for the charity. The bats (kindly supplied by Topspin Sports) will be auctioned from today until Friday 15th November. So get there quick to bid on Lorna’s amazing design. You could make a positive difference to the lives of disadvantaged children right here in the UK and get a really stylish ping pong bat in the bargain. This entry was posted in Darley Anderson Authors, Illustrators and tagged artists and illustrators, Children In Need, Fivefootsix, Lorna Scobie, The Art of Ping Pong, the DA team, Topspin Sports. Bookmark the permalink.